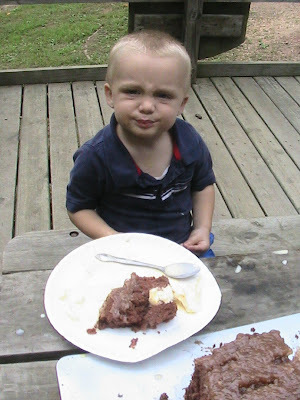 Jimmy turns 2 on Tuesday, but we didn't have time that day for a party. So, Sunday afternoon it was. What a fun time we had. 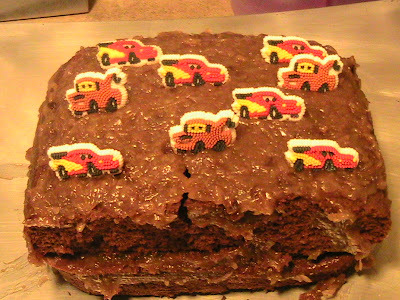 A german chocolate Lightning McQueen cake. He was so excited. Disney's CARS is his favorite! 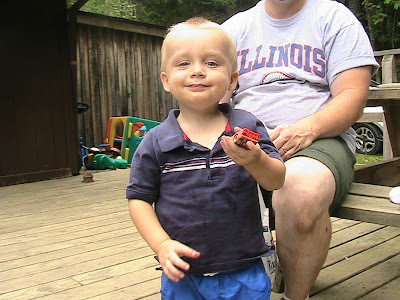 He really liked his Lightning McQueen car. 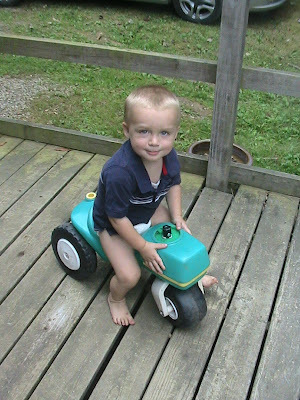 Here he is riding on the toy tractor that the neighbors let us borrow/keep. 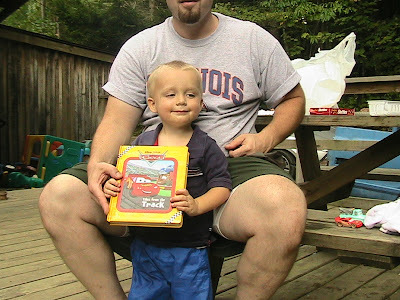 Here he is with his new board book. Super cool!